Loose tea infusers are the simplest option for brewing loose leaf tea. Whether it is a ball infuser, a basket or a cute animal, they can be used with any cup or mug you already have. Some work with larger teapots as well. These are infusers only. If you are looking for a mug with infuser, check out this page. For mugs made especially for the road, head here. If you need a teapot with an infuser, go here. Anyone still on this page, I can assume is looking for an individual infuser to use with a mug or pot you already own. They are the cheapest and easiest way to start drinking loose leaf tea. The only problem is the huge number of choices. You want to make sure you get one that doesn’t allow tea leaves to escape and that is made from food-safe materials. You also want it to be well-made and the right size. I’ve narrowed all the options down to the 6 best tea steepers. I included several different styles, from a simple ball infuser, to baskets, to novelty strainers shaped like manatees and dinosaurs. You’re sure to find one you like. A lot of readers wrote in saying they didn’t want to read through all the reviews and just wanted us to tell them which infuser is best. That’s why I added this short section. The best tea infuser is the steel basket set from Chefast. You get three different sized baskets and a scoop, all made from high-quality stainless steel. And the set costs less than some individual strainers. 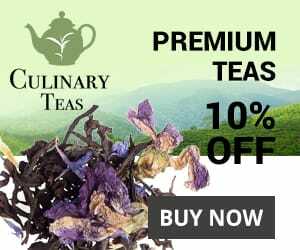 Discount code: Chefast have graciously offered Let’s Drink Tea readers an exclusive discount code! Click on the link above to go to Amazon and use the code TEAINF15 to get 15% off today. 7.3" x 2.8" x 2.6"
2.3" x 1.7" x 4"
4.1" x 2.2" x 2"
The premium stainless-steel basket infuser from Live Infused fits and cup, mug, glass or pot with an opening from 2.5 to 5 inches, thanks to the extra-large handles. The ultra-fine holes ensure you can brew any tea, from large leaf oolong teas, to green teas, to small-leaf teas like rooibos. This strainer comes with a lid to keep in the heat while steeping. It doubles as a coaster for the basket, so you can set the leaves aside for subsequent steepings without making a mess. The handles on the basket and the lid are insulated, so you don’t burn your fingers. 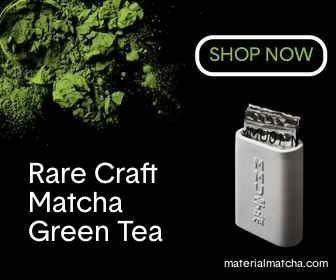 The only materials used in construction are premium quality 304 stainless steel and food grade silicone, so there is no chance of dangerous chemicals leeching into your tea. All parts are dishwasher safe. Live Infused stand behind their product. If there is any issue with your strainer, they will replace it, no questions asked. A lot of people ask me where to buy tea infusers. I generally tell them Amazon is the easiest. They have a large selection, including all the models on this page. Click below to see the current price of this item on Amazon. A lot of people stay away from plastic tea infusers, but these adorable novelty strainers are made from non-toxic, FDA-approved, food-grade silicone. They will not alter your tea with a chemical aftertaste or an unpleasant odor and does not contain any BPA. Any of these strainers make a great gift item and conversation piece. These strainers are microwave oven safe and can be placed in the top rack of your dishwasher for easy cleaning. The silicone is non-corrosive and will not rust or discolor like many of the metal tea infuser balls and baskets. There are a bunch of different animals, characters and other designs. You can check them all out here. They are all simple to use: just pop them open, fill them with your favorite loose tea leaves and hang them from the rim of your cup by their hands, bodies, tails, or whatever the case may be for each particular one. The silicone is heat resistant, making it easy to remove without scalding your fingers. The Chefast set is the most expensive item on this list, but when you consider everything you get, it’s actually the best deal of the bunch. Assuming you can use all 4 components, of course. You get two small strainers for individual mugs, one large strainer for teapots and a tea scoop with a bag clip on the handle. Given all that and the high quality, it scores a Let’s Drink Tea rating of 9.8 out of 10 (or a 4.9 out of 5). With this set you get everything you need to brew tea for yourself or for several people at once. The scoop is a nice touch. Personally, I just use regular teaspoons and wouldn’t go out of my way to get a specialized scoop, but if I had it, I would definitely use it. All parts are made from premier-grade 304 stainless steel. They are dishwasher safe, but you can also just clean them by running cold water over them. They come in a stylish box, making this a great gift for weddings or other occasions. They are backed by a one-year warranty. Click below to see the current price on Amazon. The Finum brewing basket comes in two sizes: the medium size pictured here fits cups with diameters from 2.3 to 3.5 inches. The large version is 3.8 by 3.8 by 4.2 inches and fits cups with diameters from 2.8 to 4-inches. Both sizes come in three colors: black, red and blue. The frame of the basket is made from heat-resistant plastic and the mesh is 18/10 stainless-steel. Neither affects the taste or aroma of your tea. You also get a lid to keep your tea warm while brewing. It can be flipped over and used as a drip-off tray as well. All parts are dishwasher safe, but can also be cleaned under tap water. The delicate tissue structure of the mesh filter means you can use this product for fine teas and even coffee. It is the only model on this list that also works for coffee, making it the most versatile. Click below to see the current price on Amazon. The tea strainer ball from Teabox is made from a fine stainless-steel mesh that keeps even the smallest tea leaves inside and doesn’t trap leaves in the mesh, making it easy to clean. Tea infuser balls are probably the most portable of all the options, but I personally prefer other styles. It’s probably just me, but I often have the chain fall into the tea, making it a pain to get the ball out. Luckily, Teabox offer this same tea ball infuser in a pincer style for the same price. You can clean the Teabox ball in the dishwasher, but it’s not really necessary. Just run some water over it to remove the leaves and you’re good to go. Click below to see the current price on Amazon. The basket tea infuser set from Apace Living includes two baskets, a tea scoop and two dip trays. Everything is made from the finest 304 grade stainless steel. It will not rust and is dishwasher safe, although you can generally just rinse everything clean under running water. These basket infusers will fit almost any size mug or cup and are best for large and medium leaf teas. They work for fine teas like rooibos, too, but some debris will occasionally escape through the holes with ultra-fine teas. This set makes for a great gift, too. Whether you buy it for yourself or someone else, it is backed by a 30-day money-back guarantee and a one-year warranty, so you can try it out risk-free. Click below to see the current price on Amazon.